Today I'm going to talk about one of the best eye primers I've tried. 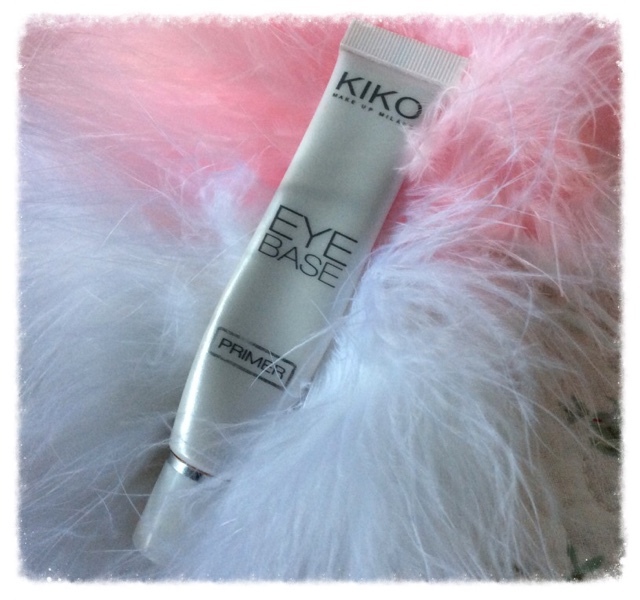 Introducing ... ta da ... Kiko Milano Eye Base Primer! I discovered this a couple of years ago, around the time I discovered the Kiko Milano brand on a trip to London. I bought a few things on that trip, an eye shadow, two kohl pencils and a face base primer (which I loved so much I'm on my second one now). Kiko are one of my favourite brands and this product is one I will always replace because it is just SO good. I've had mixed results with eye bases, some are the wrong colour, some I find greasy and one I really loved (Clarins) changed slightly and was never as good as the first one (boo hoo Clarins!) so I stopped buying that. Eye base does help my eye shadow to stay put for longer and it helps with blending, I don't feel like the brush is dragging across my eyelids. It also stops all that pesky creasing, particularly on cream based shadows which, by their sheer nature, have a tendency to sit in eyelid creases. There are two bases to choose from, Pearly and Neutral Eye Base. I use the neutral one as I find it gives a smoother finish and suits the natural colour of my eyelids but pearly is pretty too. These bases cost £7.90 which is a most excellent price for such a product, proof that you don't have to have an expensive product for it to have pride of place in your make up bag! Kiko Milano have shops all over, definitely in Manchester and London as I've been to both but on the website there is a list of stores you can check out. If there's not one near you, the online store is really good, I've ordered several items online and have been really pleased with everything I've bought. I had such high hopes for December, I was going to do one post per day, my content was going to be fabulous, gift ideas, make up looks, last minute present ideas, another Lipstick Love post as well as a post about my pre-Christmas trip to London. Unfortunately the madness of December took over and I managed to publish precisely zero blog posts. Yes, that’s right. None. To be fair some of them are still sitting in my Drafts folder in a very basic format waiting to be properly written, alas this was as far as I got. 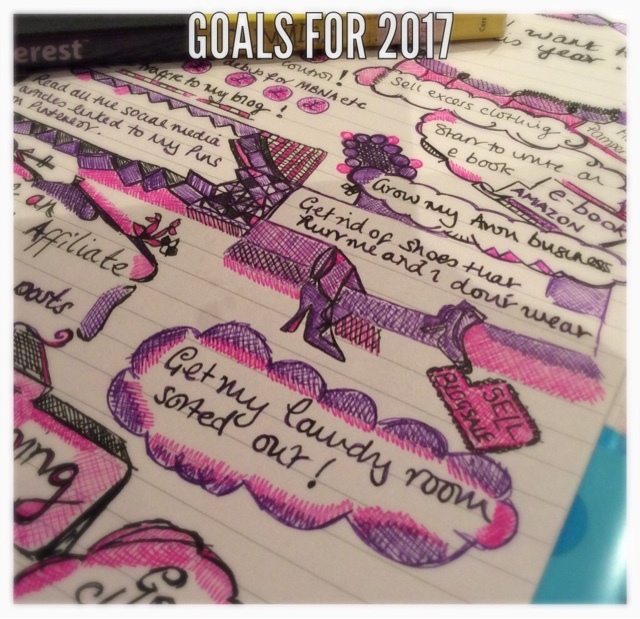 As it’s now 2017 obviously I started thinking about resolutions just like everyone else but then I thought I prefer the word Goals to Resolutions. For a start I always manage to break my resolutions but it occurred to me that I might just stick to a goal, it’s something to work towards isn’t it? I also think it’s a nicer word! So I bought myself a brand new pink Pukka Pad Project book (any excuse to buy new stationery) and started writing. Here are some of my 2017 goals. They are a mixture of personal and business and blog goals. I nearly put “stop shouting at the kids” but given that they drive me nuts daily I suspect this will not last so I’m not writing it down! The e-book is something I have been thinking about for over a year and this year I’ve decided to start to research how to go about it. If I manage to do that then I’ll extend the goal to start the actual writing but let’s not bite off more than we can chew, after all it’s only the third day of January. I want to lose half a stone so that my clothes feel comfortable and I want to increase my pilates classes to three as it really helps my hamstrings and my tense shoulders. I also really want to read all those links I’ve saved. How often to you scroll through FB and come across a great article or post and click “save to read later” and then never get round to reading them? To be fair, Facebook does periodically ping up a reminder telling me what I’ve saved so I really should take notice of it. All in all, I’m pretty sure these goals are at least fairly attainable and that I won’t get to the end of January and give up thinking “what were you on when you decided this?”. One goal that’s not on there is to be more organised but thinking about it I will have to be organised to do all of this alongside all the other daily demands so it pretty much goes without saying. I'd love to know what your goals are, I'll let you know how I'm getting on half way through the year.